Dhaba is a name for roadside café’s in India and Pakistan which serve hearty and wholesome, often Punjabi, food. They’re a truck-drivers preferred choice of stop off and I was headed to a London equivalent of a Dhaba. 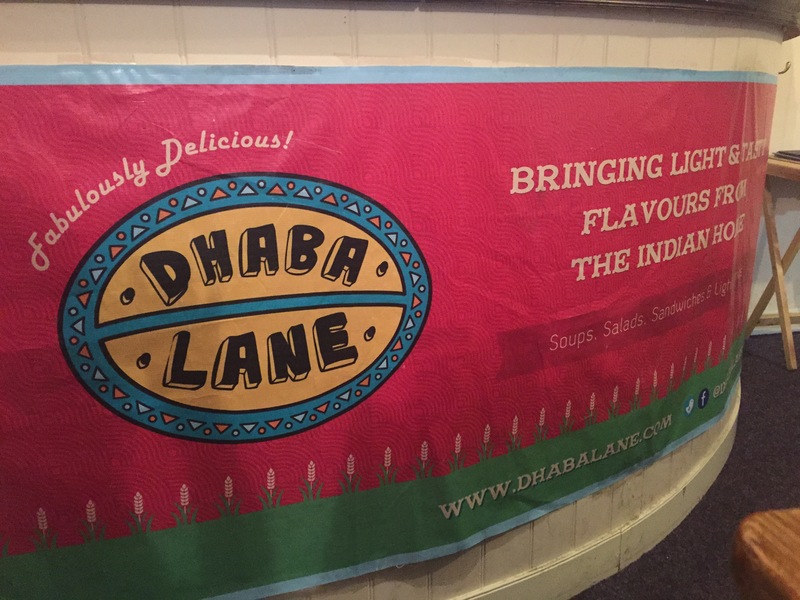 It’d been a little while since I was invited to check out the newly-opened Dhaba Lane situated on Leonard Street in trendy Shoreditch. I was invited by co-founder Upma Arora to sample their lunchtime delights for some healthy Indian cuisine. It was a sunny Tuesday and I’d been in town for some meetings so decided to pop and visit Dhaba Lane. 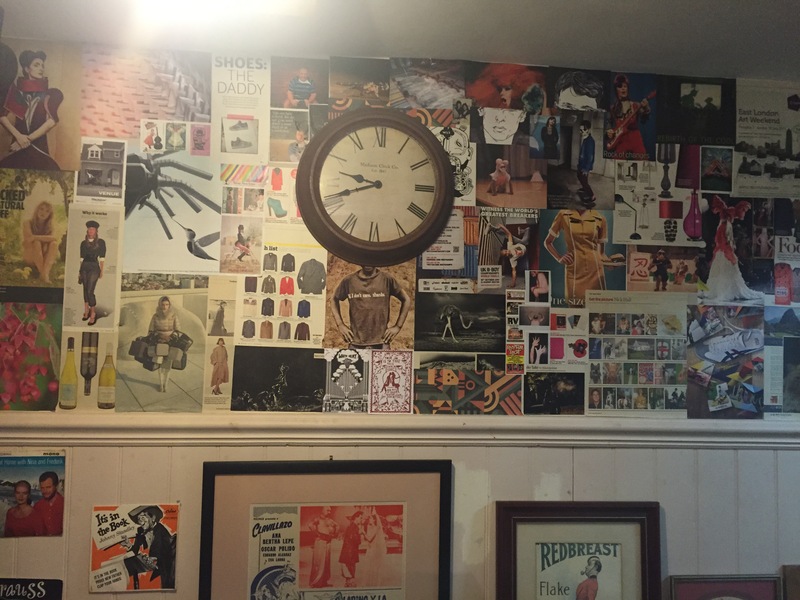 The establishment is tucked away underground on Leonard Street, about a 7 minute walk from Old Street station but also accessible from Shoreditch High Street and Liverpool Street stations. 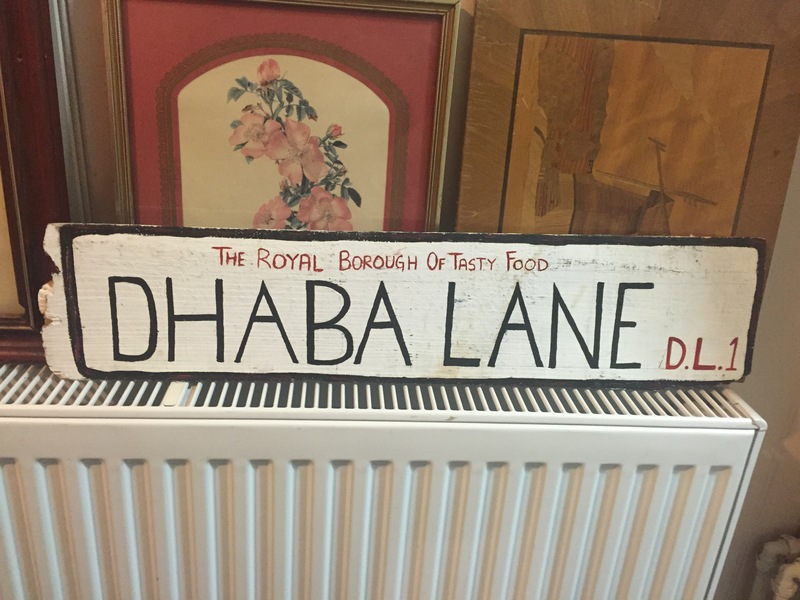 Keep an eye out for the brightly-coloured Dhaba Lane sign outside. Walking it I was instantly taken by the British Raj type pictures on the wall, the Dhaba Lane road sign which was indicating we were in the Royal Borough of Tasty Food and the yesteryear India feel of the small but quirky joint. A few people were already tucking into their lunches and were oohing and aahing over their meals. 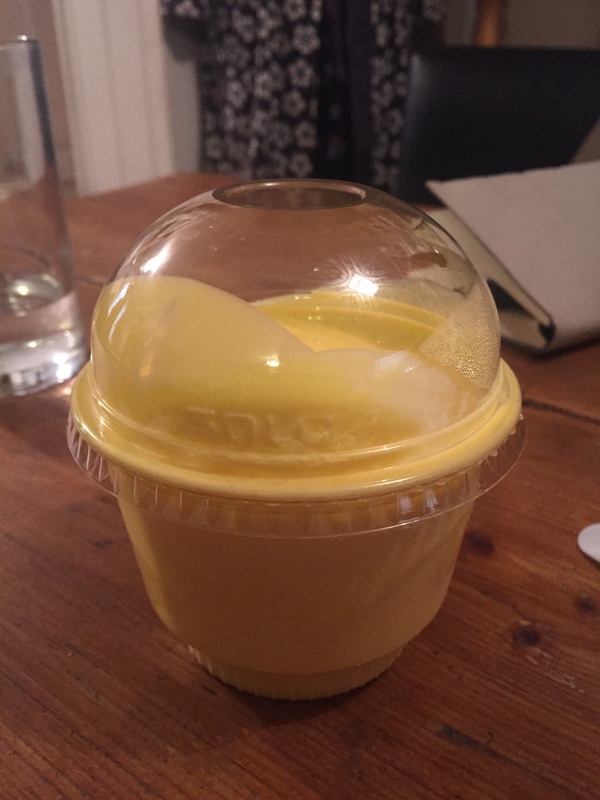 I began to feel excited and my belly was rumbling! 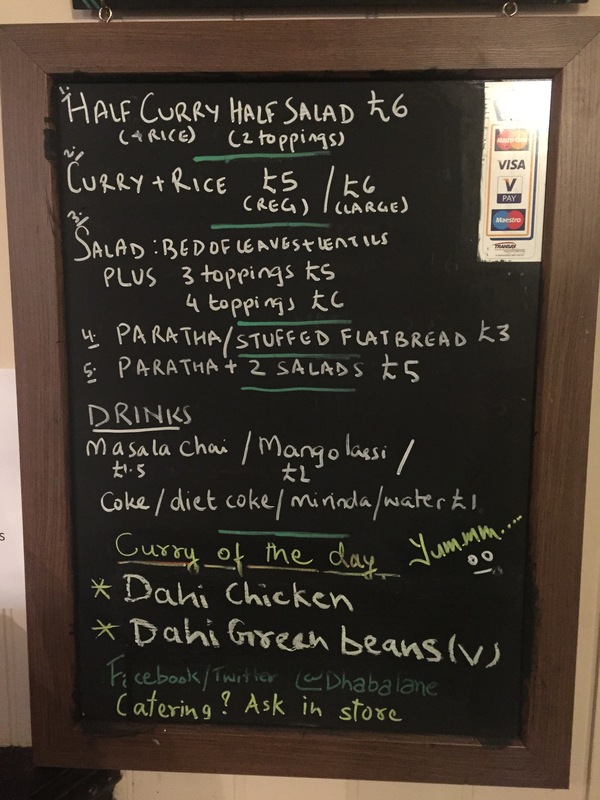 Tuesday was ‘dahi chicken curry’ and ‘dahi green beans curry’ day – both looked delicious so my guest and I tried both! One of the things that really struck me was the homely-ness of the food. It was definitely the kind of food my mum would make at home and as we began to tuck in each mouthful was reminding me of the Sundays when I go home mum cooks dinner and we eagerly tuck in. The chicken was spicy and tender. The green beans were extremely fresh, healthy, tasty, spicy and tender. 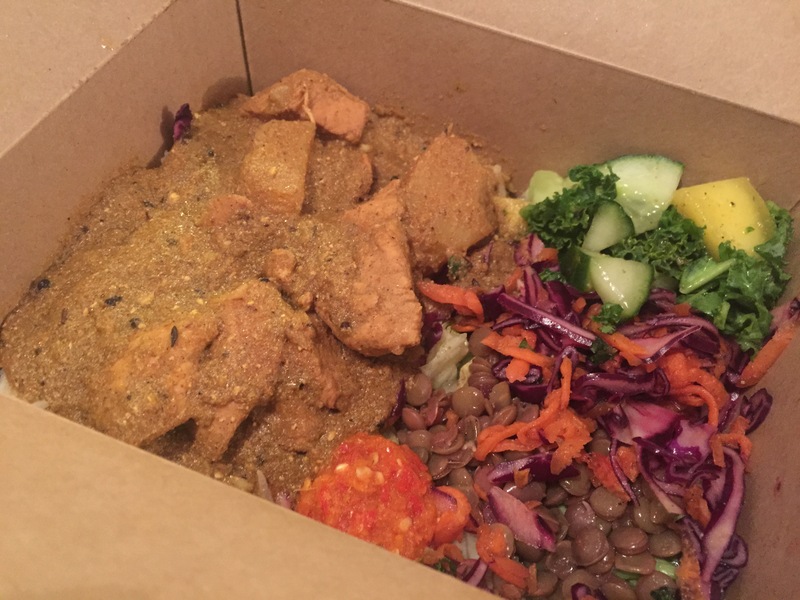 Each of the curries come with white or brown rice and your choice of two salads toppings. You can even have some hot sauce for that extra kick! 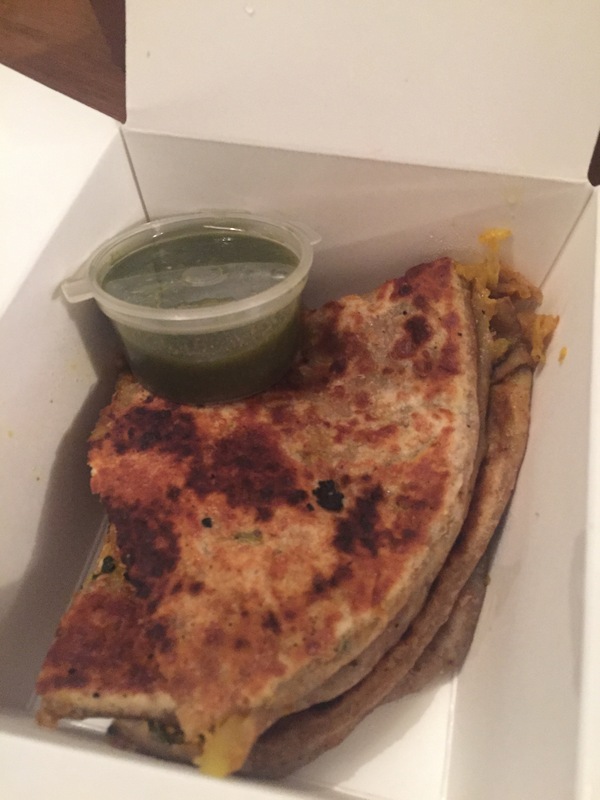 We also ordered a stuffed paratha which was warm, moist and tasty. It was served with a mint and coriander chutney which was the perfect accompaniment. We chose the followings salads which are Indian ‘kachumber’ salad style and sprinkled with chaat masala: – Kale, mango and cucumber – Cabbage and carrots – Green lentils and beetroot The lunches were washed down with masala tea and mango lassi. The portions were definitely enough for lunch and I did almost need a nap after eating! 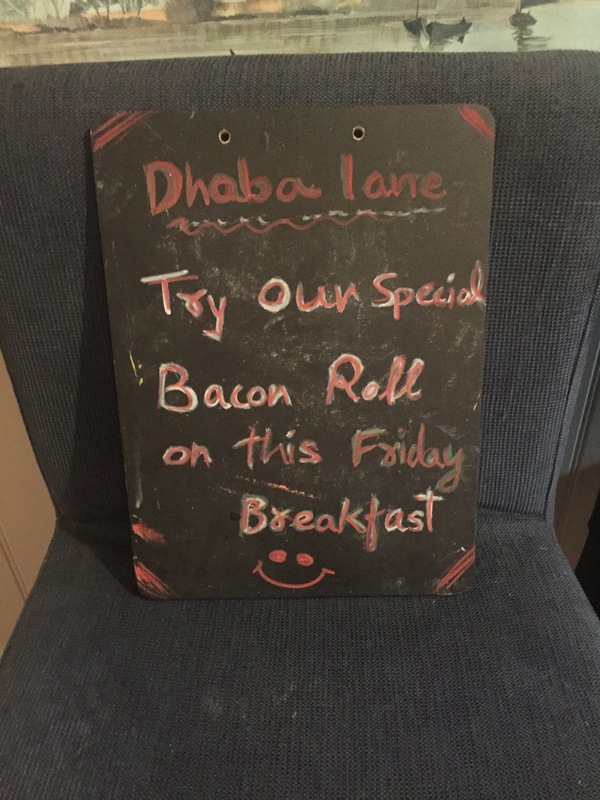 You can also stop by Dhaba Lane for breakfasts consisting of Indian bacon & egg rolls or parathas. They cook their food to order but you can always call them ahead of your arrival to pre-order your brekkie.